Bullying incidents are no longer limited to the playground or the locker room. Cyberbullying, the latest form of bullying sweeping across middle and high schools, is pervasive. And the recent rash of suicides by kids who’ve been mercilessly cyberbullied certainly sets off alarm bells. Keeping up with technology can seem overwhelming and induce a sense of helplessness in even the most seasoned parent. While you can’t control every aspect of technology, below are some ideas that can help combat cyberbullying. Cyberbullying is any type of harassment, taunting, or threats that are done via numerous forms of social media. With so many apps and websites available, with a click of a button, a humiliating message can be spread quickly to thousands, even millions of people. Kids can take pictures and videos of a peer, edit, and post them on sites that allow friends and strangers to pass judgment, sometimes in the cruelest of ways. Too often, kids think posting an embarrassing photo of someone or making a snide remark is funny, without thinking through the consequences or the feelings of a peer. They may not even define what they are doing as a form of bullying. Unlike traditional bullying, cyberbullying can occur anywhere, anytime, 24/7. As a result, the impact and potential for damaging consequences are far greater. Don’t assume anything. Don’t assume that your child will never participate in cyberbullying, or that they wouldn’t dream of joining in with “those mean kids.” The truth is that all kids, even the kindest ones, can get swept up in the moment when a group is viewing a threatening video on YouTube or reading a nasty post on Facebook. 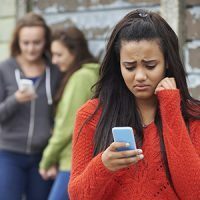 The difference between cyberbullying and traditional bullying is that a child may feel greater empathy or embarrassment if they are witnessing someone being hurt right in front of them. With cyberbullying, the harmful acts may not seem “real,” as the child is so removed from the actual situation. This, plus the impulsivity of all kids, makes it much easier for even the nicest children to hit the “send” button. Communicate…a lot. The best way to combat cyberbullying is to have regular conversations with your child about it and to discuss concrete examples. Too often, kids think posting an embarrassing photo of someone or making a snide remark is funny, without thinking through the consequences or the feelings of a peer. They may not even define what they are doing as a form of bullying. Make your expectations very clear. “I expect you to not join in if your friends are posting mean things online. If they are bullying someone on Facebook, I expect you to tell me about it, and we can decide what to do.” Making your children aware that you will not tolerate their involvement in bullying anyone is an important parenting skill. Don’t throw your hands up and say “kids will be kids.” As in regular bullying, too often, parents of kids who engage in cyberbullying chalk it up to “kids being kids,” suggesting that it will teach the victim to “toughen up” or that their child “was just horsing around.” This thinking is not only dangerous for your child and the victim, but also suggests a lack of parenting responsibility and control. If you find yourself taking a cavalier attitude toward your child’s role in cyberbullying, ask yourself the following questions: What if my child was at the center of these embarrassing/threatening/harassing social media posts? Would I feel it was still innocent and kids were just being kids? What if I was the target of such posts? What if someone showed this sort of aggression towards me in person? Would I find it humorous, innocent, or all in jest? Bullying is bullying, period. If your child is involved and you turn the other way, you are complicit in their poor behavior. Don’t ignore the technology just because you don’t understand it. Many parents do not oversee the role technology is playing in their child’s life because they don’t understand it. However difficult you may find technology, this is not an excuse to let your child loose in the world of social media. If you don’t understand the latest devices or don’t know about the social media kids use (Snapchat, Instagram, Twitter, etc. ), start talking to someone who can help you. This can be your child, one of their friends, or someone at your local library who teaches technology. The point is, children are several steps ahead when it comes to technology and social media, so it is up to us parents to be on their heels in order to understand what they are doing. If your child is the target of cyberbullying, approach it with your child immediately. Your child may shut down, feel embarrassed, or say they can handle it, but it is imperative that you stay involved until there is a resolution. A first step is to view whatever has been posted online; then discuss it with your child, while remaining calm. Kids often don’t divulge cyberbullying because parents tend to overreact. The thought of their parent calling another child out, talking to the parents, or taking away technology is terrifying, so they choose to stay quiet. 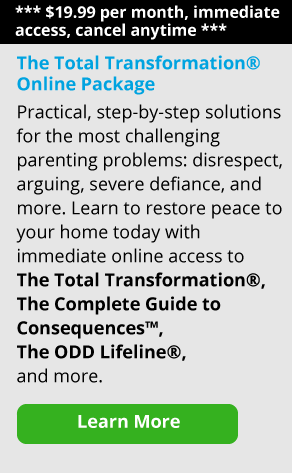 During this difficult time, respond to your child without judgment, blame, or attempts to fix this for them. Be empathic and acknowledge how painful this is. Assure them that this is not their fault and that you support them. Also, and this part is imperative, ask your child if they’ve retaliated in any way. It is extremely important to discuss with them that, while tempting, retaliation will land them in as much trouble as the perpetrator, so encourage complete transparency of their actions during this time. You may need to contact the school if the cyberbullying does not stop. Alert the principal, guidance counselor, and any mental health workers the school provides. Print out all forms of online harassment or threats that your child has received. Many times, schools will say they can’t get involved with cyberbullying because it takes place off campus and after school hours. While legally schools may not be required to insert themselves between bully and victim, they can and should provide consequences for students who cyberbully. Lastly, if your child is in imminent danger of being harmed or is threatened with physical assault, contact the local police immediately, taking all physical evidence with you. Watch your own social media use. Sadly, many parents engage in similar cyberbullying tactics, using technology to harass, bully, or embarrass others. If you find yourself making snarky comments on Facebook, sending out mean-spirited tweets, or posting something you know will embarrass someone, you are setting the stage for your child to do the same. Exercising self-control and thinking before posting or responding will help you—and your child—be better users of technology. Many parents of older kids don’t see this as necessary, since their child will be an adult soon anyhow, so why bother enforcing something that will just cause an argument? Here’s why: kids who have no boundaries set for them are more likely to view inappropriate websites, feel more attached to their electronics, and have more time to be a part of cyberbullying. It’s not easy setting limits with your teen, but it’s necessary to keep them safe. Check and then re-check. Many parents give their child free reign on all electronic devices, especially as they grow up. Sadly, it is during the middle and high school years that cyberbullying takes place and when teenagers are the most impulsive. Remember, while your teen may be able to drive a car and make good grades, their brains are still under-developed, making this a prime time for them to become involved in poor decision making. Make a contract with your child that you will check their browser history when you deem fit (and be sure to routinely check it!) and that they must allow you to “friend” or “follow” them on social media sites so that you can see what they—and their friends—are posting. During homework time, check the browser (on the computer, laptop, phone, tablet, what have you) to make sure they are actually doing homework. Naturally your teen will cry foul at this, but you can remind them that you are the parent, and loving parents want to keep their kids safe. Like most advances of the 21st century, technology has brought about enormous benefits for those of us who use it regularly. But with those benefits are a whole slew of potential problems—with cyberbullying leading the list. Parents can’t control everything that comes into their child’s technological world, but by being open, available, calm, and involved, your child has the best shot possible at remaining safe and protected in today’s world.